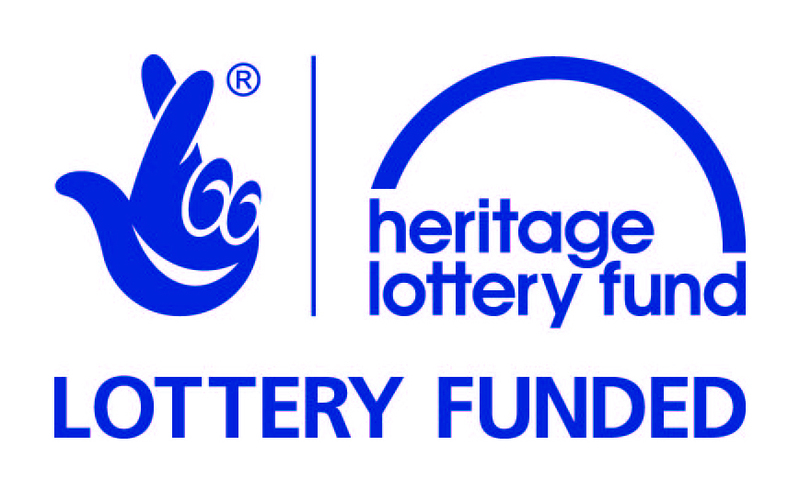 In 2014 St Marie’s Cathedral was awarded a grant from the Heritage Lottery Fund to conserve its heritage and share its stories and treasures with everyone who lives in, works in and visits Sheffield. Increase awareness of and knowledge about the heritage of the Cathedral and the stories of people associated with it. Conserve and ensure the long term preservation of a group of important historic features, including the unaltered 19th-century Lewis organ, the highly decorated, narrative Victorian wall tiles and a set of 15th-century alabaster panels. Increase opportunities for people to engage with the heritage of the Cathedral through visiting, learning and taking part in activities and performances. Increase volunteering opportunities at St Marie’s, broaden the volunteer group and provide skills development opportunities for volunteers. Provide engaging and appropriate interpretation about the heritage of St Marie’s Cathedral for a wide range of audiences. St Marie’s has seven fascinating alabaster panels. These were moved to a conservation studio and restored in 2015 by Veronika Vlkova from Mareva Conservation Ltd as part of the HLF funded project. The work consisted in removing soiling and all the inadequate previous restoration works, repairing the panels and preserving the polychromy left. Pigments were also studied in order to learn more about the history of the panels. The panels are from the 15th century, except for the Crucifixion which is from the 18th century. They are the oldest historic objects that the church owns and represent biblical scenes from the life of Christ and the life of the Virgin: the Coronation of the Virgin, the Adoration of the Magi, the Assumption of the Virgin, the Betrayal, the Flagellation, the Annunciation and the Crucifixion. The panels are made of gypsum alabaster. Alabaster is easier to carve than marble and, unlike marble, it was possible to quarry it in Britain. In the 15th century, the main concentration of alabaster quarries was around Nottingham, York, Burton-on-Trent and London. England was a major centre for the production of alabaster carved objects and a vast number of them was exported to Europe. However, most alabasters in England were destroyed during the English Reformation. Hence, St Marie’s alabasters are relatively rare survivals from the medieval period. The panels are similar in design to examples in the Victoria & Albert Museum, London and Nottingham Castle Museum. Some other churches in Britain contain complete alabaster altarpieces, such as a church at Drayton, Berkshire, where panels like the Assumption can be found. There are also examples in European institutions such as Museo Provincial de Bellas Artes, Seville. St Marie’s alabasters were re-discovered in 2012. They were not originally associated with the Cathedral (which dates from a later period) but were used to decorate the underside of the altar of the Mortuary Chapel after they were donated (around 1847). They were there until the 1970s when due to the changes undertaken in the church following the Second Vatican Council, the tomb of Fr Pratt (originally near the Sanctuary) was put where the alabasters used to be. As a result of this removal, the alabasters were badly damaged, put in storage and forgotten for decades. In The Annunciation, the Virgin Mary is informed to be pregnant with Jesus by the Archangel Gabriel. In The Adoration of the Magi, the new-born Jesus is visited by the Magi or Three Wise Men. The Betrayal represents Jesus being betrayed by Judas, one of his apostles. In The Flagellation, Jesus is tied on a column and surrounded by torturers. The Crucifixion shows Jesus tied on the cross. In the Assumption of the Virgin, the Virgin is being taking up to heaven by angels. In the Coronation of the Virgin, the Virgin is represented while is crowned as Queen of Heaven. The conservation work done by Mareva Conservation involved removing dirt and previous inadequate restoration works. They also repaired the panels by making them structurally stable and stopping the degradation process, as well as preserving the remaining painted areas. Sections which had previously been poorly stuck were separated with solvents, cleaned and joined back together. Surface dirt was removed using both dry and wet cleaning methods. As part of a Heritage Lottery Funded Project, St Marie’s Cathedral undertook a conservation project to bring its stunning Victorian pictorial and memorial tiles back to their former glory. The tiles being conserved, which are hand-painted and date back to the 1880s, are located in three areas of the building: the South Transept, St Joseph’s Chapel and the Mortuary Chapel. The conservation work was carried out for seven weeks (September-November 2016) by a group of conservators from KL Conservation led by Katie Landgridge. During this time, Myunghae Seo, one of the Heritage Project’s volunteers, also worked closely with the conservators and recorded the conservation process by interviewing them and taking photographs of the different stages of their work. As a result of their collaboration, we published weekly updates on our social media to keep members of the public informed. These updates have been summarised below. In the first week, the team started cleaning the tiles and undertaking trials to identify the most appropriate materials for filing and retouching losses to the hand-painted details and lettering. The horizontal tiles in St Joseph’s Chapel, which were badly damaged by the crystallisation of soluble salts, were also removed to be individually conserved and fully assess the condition of the stone underneath. In the second week, the work began with the removal of failed Victorian cement from the wall faces in preparation for the replacement of detached tiles. The reverse of the tiles also needed to be cleaned before they were replaced and the team carefully chiselled foreign material away from the fragile ceramic. Cleaning of the decorative tile surfaces began with the removal of an old restoration varnish. This was followed by consolidation of the friable hand-painted enamel and glaze. In the third week, areas of loss and missing parts of the tiles started to be repaired. The team carefully worked on the tiles as they built up the fill, ensuring that the filling material only went to the broken edges and did not overlap onto the original tile surface. They also reset the broken tiles in the South Transept. This job involved cleaning the tiles, gluing the pieces together, filling any missing pieces and then sticking them back to the wall. In this week the team also started the most challenging part of the conservation project, the retouching of the tiles. This is a difficult and time-consuming task as they had to get the right colours and glaze to match the original ceramic decoration. At the start of the forth week the team replaced the tiles in the South Transept. A more suitable tile adhesive was used to replace the failing Victorian and modern cement. Some large pieces of the tiles were sadly missing and these were filled, the layers being carefully built up over days and polished to a smooth finish ready for painting. Retouching also begun in the Norfolk chapel. It was at this stage of the work when people could really begin to notice the progress as the areas of white exposed tile were carefully toned in to match the surrounding original surface. The paints used were high quality acrylics. These paints are resistant to UV light, which means the colours will not fade or change over time and are easily reversible, a very important standard for any conservation work. In the final weeks, having nearly finished all the retouching in the Norfolk Chapel and the South Transept, the team started retouching in the Mortuary chapel using the same UV resistant acrylics and finished retouching the horizontal tiles in the Norfolk Chapel. In the meantime, the painted decorative scheme surrounding the altar of Our Lady of Perpetual Succour was painstakingly uncovered using scalpel blades. Then, the team started to build up the layers of fills in the cracks. The tiles to the right of the altar were a continuation of the passion fruit flower design which was previously partially visible. However, the tiles to left of the altar showed no decoration. They found traces of green paint indicating that it would have been painted green at some point in time. KL Conservation team have done a fantastic job not only conserving the tiles, recovering their colour and features, but also raising awareness of the significance of the tiles and their profession. During the fifth week, St Marie’s heritage team worked in partnership with the conservators and organised two “Tiles Conservation in Action” workshops in which adults and families learnt about the fascinating history, symbolism and significance of the tiles as well as the different stages of the conservation process, the techniques used and the challenges faced by the conservators. In addition, visitors were able to have a go at conserving their own tiles in a practical session, which was also thoroughly enjoyed by everyone. You are very much welcome to visit our church to see the beautiful conserved tiles. If you would like to know more about the history of the tiles and the Cathedral, please join any of our free guided tours. You can also read an article written by Bob Rae which was published on the Hallam News’ December issue here.